Last week, a reader pointed out that the Galaxy Nexus was no longer being sold through Verizon, a sign that most of us would consider to be the end of the phone’s life. While that may be sad news to some, this move typically brings good news along with it. With EOL phones, carriers tend to slash prices on accessories for them in order to get leftover stock out the door. 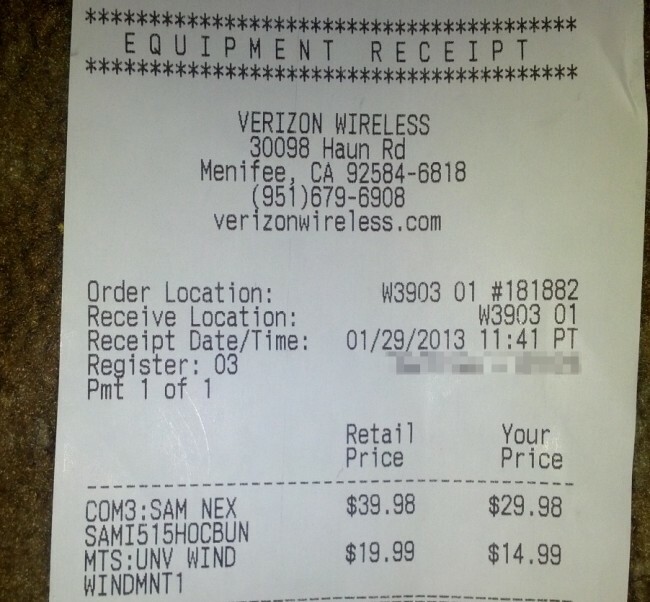 That appears to be the case with Verizon stores who still have some in stock. One reader tipped us to the discounted prices earlier this week (pictured above), which we then shared with listeners of The Droid Life Show last night. One of those listeners then stopped by his local VZW store today and was able to get a car dock for as little as $9.98. So if you were in need of a new charger, car dock, or extra battery, you may want to cruise into your neighborhood store and see if they have any accessories lying around in the back or on a discounted rack.